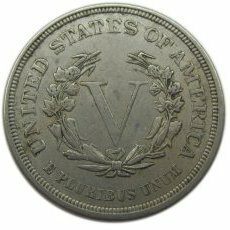 The Liberty Head Nickel (often called the V Nickel) is a U.S. five-cent coin that was designed by Charles Barber, the Chief Engraver at the U.S. Mint. 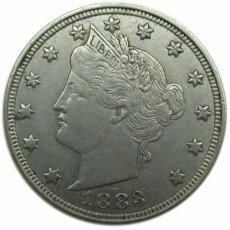 Over half a billion Liberty Head Nickels were minted between 1883 and 1912. 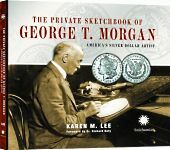 Earlier U.S. coins had been minted from precious metals that were worth approximately the value of the coin — for example, a three cent silver coin contained about three cents worth of silver. But there was great economic uncertainty after the Civil War and it was decided that it might be a better idea to mint coins from less valuable metal so that the resulting coins wouldn’t be hoarded. Thanks in part to political pressure from the nickel mining lobby, Congress passed laws in 1865 and 1866 authorizing the Mint to create new three-cent and five-cent coins using a copper/nickel alloy (75% copper, 25% nickel).